For our guests many useful service features are available. Our staff will help you! We care about your laundry! You are welcome to turn to us and use our laundry and ironing service. If you would like to have a snack or something to drink, let us know! We care for your culinary well-being. Our parking area is for free for our guests. If you like to discover Vienna forest by bicycle - we offer bikes for rent - of course for free. Of course free Wi-Fi is available at the whole house. Additional we have a public computer you can use. 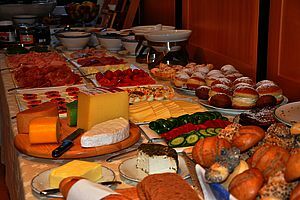 In the morning we will regale you with our rich and large breakfast buffet with products from local and organic agriculture and humane husbandry. 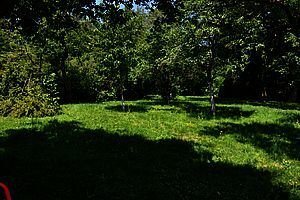 Our garden gives comfortable lawn for sunbathing that can be used in summer. Also a small playground for children is waiting for small guests!